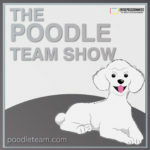 Episode 39 Talk to People? Charles, Chuck, you know, The Guy; he’s from Utah, has officially become one of The EntreProgrammers, and get this; he wants to become Josh – that’s right, more on this as we go. Derick gets into analyzing just exactly how long of a subscription should he be selling, how to discourage cancellations with, perhaps, offering quarterly and/or yearly subscriptions. Let’s say your card expires and ends your subscription. Should you have purchased a yearly instead of a monthly? John says yearly. What’s your take on this? 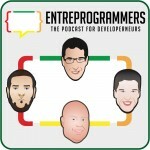 Jump into this conversation with the (now 4) EntreProgrammers. If you are a person who hates people, absolutely dreads being around them more than 17 seconds and wouldn’t offer any of your ideas to them – even if paid – don’t worry because in this episode The EntreProgrammers will fix you. You will actually enjoy coming out of your programmer’s cave to meet and (oh yes) talk to the human species. John just returned from Sweden – so what? Well…he brought back some great ideas for connecting with other humans at a conference. John was one of the speakers at this conference in Sweden; met, talked and connected with lots of folks – that’s so what! So, it’s a good idea to connect with The EntreProgrammers because they do it all for you. Josh is a little concerned about this, too. Chuck set it all straight, in this conversation, when saying to Josh, “I want to be you!” How to be humble can be learned from the multi-talented Josh. Always remember that we want to hear from you – about anything. So, who is Charles, Chuck, you know, The Guy; he’s from Utah and a beautiful state it is. Chuck is an unfriendly unknown sort, stays in his programmer’s cave, doesn’t like people – you know, he’s an Utahhonian human type person; so, this could take a little research. Connect with Chuck. Go to: http://devchat.tv/about to connect with Chuck. He’ll put a smile on your face and grow your code. In addition, he gets into detail about his entrepreneurial effort in this podcast right after Josh blows our minds with his stats. Book your podcast at Signalleaf.com. Derick will always be right there to help you.